Sharlane Foo is an art lover who made her passion into a career. 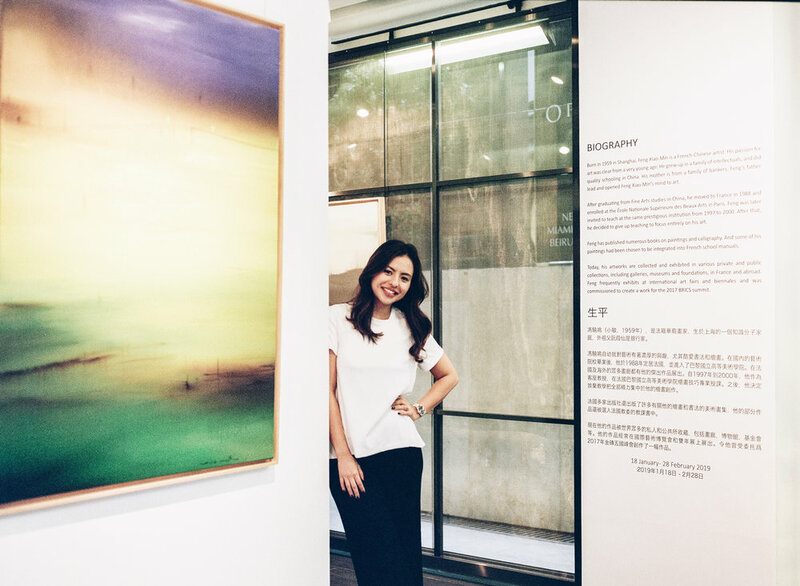 Based in Hong Kong, she is currently the youngest appointed director in the Opera Gallery group worldwide. Tell us, what was your creative journey to become a director at the gallery? I always had art in my life. Even as a child, I always wanted to see and understand meanings beyond what was presented. Museums will always have a special place in my heart. It is always overwhelming seeing all the great works in person after seeing them through the pages of a book or a screen. I always knew that I wanted to be in an industry that allowed me a constant connection to such beauty. When I am not traveling, I try to have a routine as much as I can. I never used to like routines but with my job at the gallery where two days are never the same, I am beginning to enjoy the idea of having one. Every time I speak to an artist. Understanding their process of creation, learning the ups and downs of their journey and the motivation that continues to drive them. What is your favourite corner at a gallery? My workspace which I share with my team. It is where the magic happens, good conversations and grand ideas are conceived at that big desk! Yes and no. I have an eclectic collection but I struggle with feeling too attached to anything because I also like to change things up. Fun fact : I am a huge taxidermy fan and I used to collect porcelain dolls. What has been your favourite story at gallery? If our gallery walls could talk, you will be in for a treat! Once we displayed a hyper realistic sculpture of a security guard by Marc Sijan. Everyone was coming in acknowledging him, we even had the few who even asked him for directions before realizing he is an artwork! I love getting people’s reactions, it is always amusing and everyone gets a laugh out of it. Hong Kong , to you, is a place where ? so much opportunity and I will always be grateful I made the decision to move to this dynamic city. Every time I am on a plane and the safety announcement comes on, ‘Put on your own oxygen mask before assisting others.’ It’s a good reminder that I need to take care of myself first before I start running around trying to taking care of everything else!